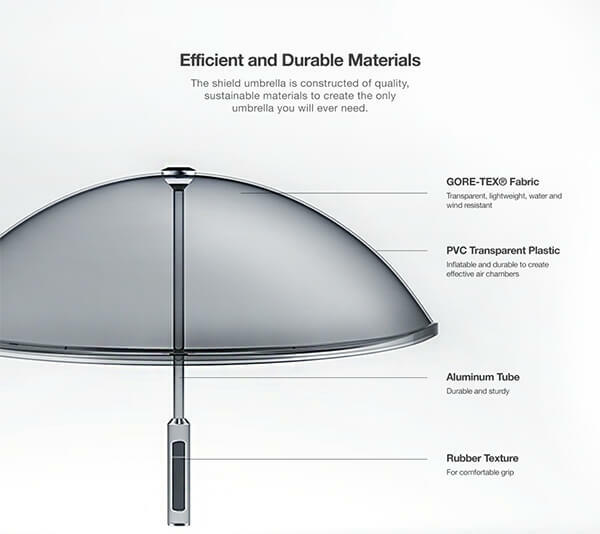 Umbrella is something we can’t miss during raining days. 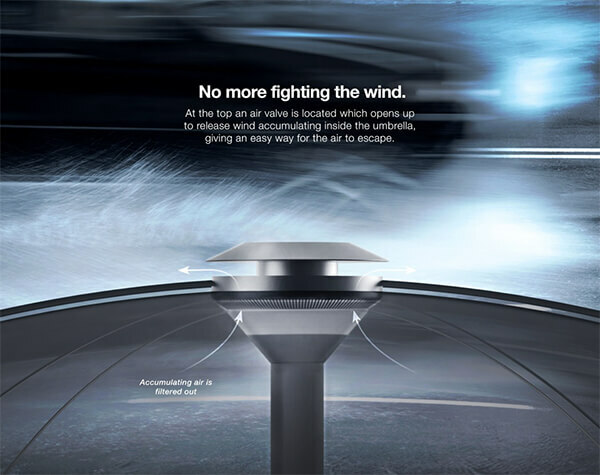 However, it somehow always connect with bad momeries, especially in windy days. 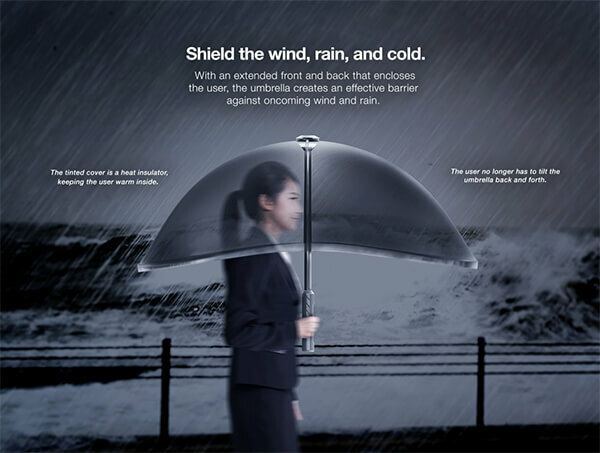 Many industrial designers are putting their efforts to make a better umbrall which can stand wind and keep user dry. 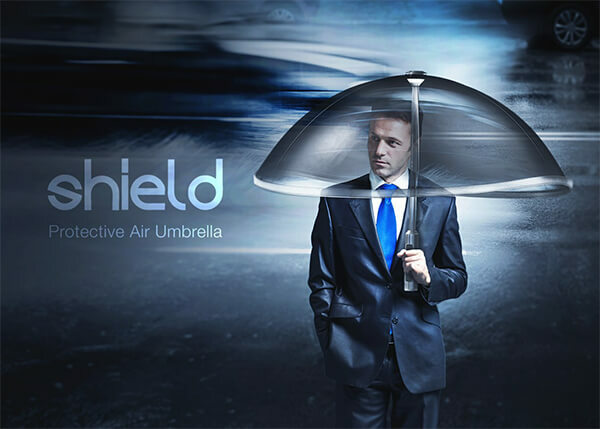 Called “Air Shield”, the cool umbrella concept use inflatable design without any wires or flimsy rods that will break in the wind. 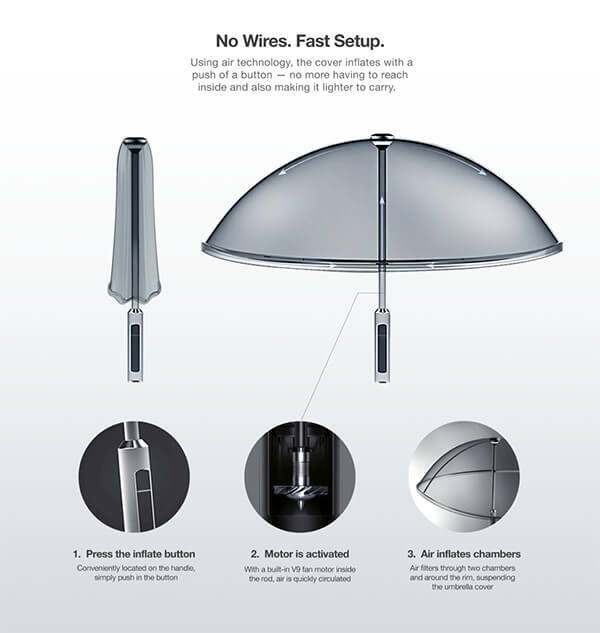 Instead, a pump built into the handle that inflates the supporting structure of the canopy with the touch of a button! 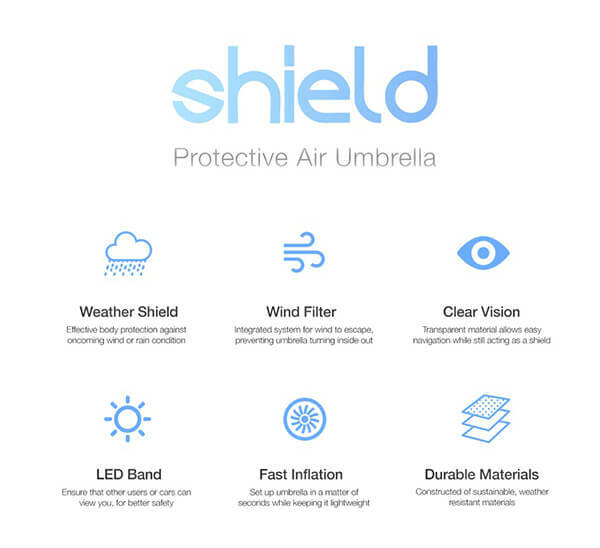 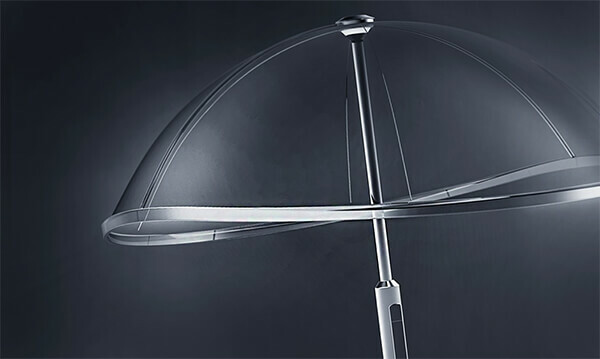 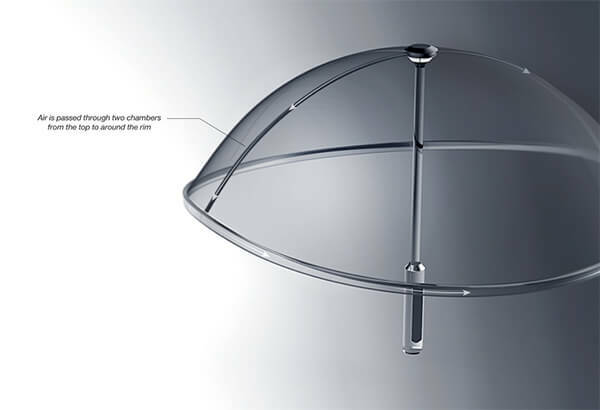 With an extended front and back that encloses the user, the umbrella creates an effective barrier against oncoming wind and rain so that user won’t need to tilt the umbrella back and forth to fight with wind. 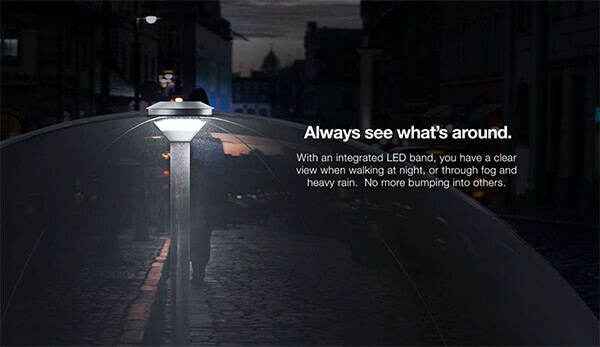 Moreover, with an intergrated LED band, you have a clear view through the transparent umbrella when walking at night.